When Do Babies Start Smiling ? Morning sickness, newborn stress and sleepless nights, all these come to an end when for the first time your baby smiles at you! There is nothing more pleasing than an infant’s happy face and like other new parents, even you would be keenly waiting for that special moment to occur in your life. Smiling is also a sign of your baby’s developing social skills. If, you, therefore, wish to know when do babies start smiling and how your little tot achieves this milestone, then just go through this article till the end. Click here to know when do babies crawl? Your mother, or your pediatrician, or probably your friends have already told you that newborn smile because of ‘gas’ until they are a month old. It might be hard to believe, but this is true. But besides ‘just gas’ there are more other reasons because of which babies smile, such as feeling content and comfy, while falling asleep, or even while urinating. You may notice reflex smiling right after the birth of your newborn. Most of the times, parents are too eager to identify when do babies start smiling at you, and hence, consider reflex smile as a real smile. But these small tots are experts in making facial expressions, and delivering such a smiling is just another form of expression for them. When do babies start smiling on their own – The Real Smile? While there may be few variations, most of the babies develop real smile and start smiling on their own around 4 to 6 weeks of their birth. Such a smile lasts longer than a reflex smile and you may notice a different reaction in your tot’s eyes, whenever he is smiling. If you will offer a contented reaction against your baby’s smile, then he will smile more radiantly, waiting for a reverse reaction from your side. During his first real smile, your baby will use both his eyes and face to communication, particularly if they are enjoying your company and gestures. Just like other milestones, there are possibilities that few babies may develop a genuine smile even after 8 weeks of birth. You don’t have to worry until and unless you find any critical response from your child. When do babies start smiling and cooing? Now that you have known that your baby may develop his first real smile at least after 4 weeks of his birth, the next thing pondering in your mind would be when do babies start smiling and cooing. Coos, often followed by babbling are one of the primary ways of your baby’s communication. Baby babbles like “a-ga”, “a-da”, and more word sound to create basic communication with parents or other known faces. Proper development boosts communication within these small tots, which ultimately result in your child making sounds like “da-da”, “ma-ma”, by the age of 6 months. The age criteria may differ from baby to baby for when they start cooing. But most often, babies begin making sounds from 6 weeks to 3 months. By 6 months your child may generate strings of consonants and by 8 months he may introduce double consonants. By the time your child is 18 months, he would start speaking one or two words in continuation. Whether it’s a full-belly laugh or a chortle, alike others, even you would mesmerize with joy when you first hear your baby laugh. Laughter is the next milestone that your baby would accomplish after smiling and cooing. Many infants laugh out loud when they are around 3 0r 4 months old. But there are possibilities that his first laugh will come a little later, keeping you awaited for a longer time. By this age, your baby starts recognizing you and also identifies his own voice. Once your tot will discover the right way to laugh, he will then laugh just because laughing makes him feel good. Also, with each coo movement, he learns the perfect way to move his tongue and mouth to generate various sound effects. If you are too eager to know when do babies start smiling and laughing, then you can help him discover it by adopting certain funny moves. Goofy dance steps, making funny faces or cheering sounds are some of the ways with which you can help your child discover laughing at an early age. While you present such a show in front of your baby make sure that your babies are rested, well fed and are all set for your comedy show. When do babies start smiling back at you? Your kid has started giggling and laughing, but what you must be waiting for is seeing your tot smiling back at you. Definitely, every parent is waiting for this special moment when their baby responds back to their reactions. So if you are concerned about when do babies start smiling at you, then you would be happy to know that your baby will respond to your actions right after 2 months or 3 months of his age. It is an important milestone and even your pediatrician will ask you for your child’s responsiveness. If your baby starts smiling at this stage then it indicates his proper growth and development. Such a smiling gesture of your baby shows that he now wants your attention, and hence, will continue making such actions. He has realized that smiling and giggling will bring your attention towards him. Also, when babies start smiling back at you, then it is an indication of your tot’s brain development. It shows that his communication skills are on the right path. You may not worry if your little one holds his straight face for a couple of more days or a few months. Few newborns are tough to please, especially when they are near about bedtime or feeding time. If you attempt to make your baby laugh at a wrong time, then there are possibilities that he may instead start crying in tears. No need to worry even in such a situation! Remember, your child’s first laugh is an ongoing journey of vocalization and exploration and if your little tot creates a lot of rejoicing noise – chirping, gurgling, squealing or cooing, then there is no point of concern. If you are making hard attempts to ensure your baby starts smiling and you don’t see any effective response then don’t fret. It may take a few more attempts. There are also possibilities that your baby may not look into your eyes. But this is a way of avoiding stimulation and exerting little control over himself. If your child is a premature baby, then give him few more weeks to grin. It is also possible that your child may response to you in one way and towards your partner in the other way. No need to concern in this regard, as it is quite normal with each infant. The only thing you should remember to help your baby stay happy and healthy is to try developing a strong bond with him, especially the fathers. If you don’t get enough time to spend with your child then make the best utilization of the available time. Keeping connections is very much important in this relation. You might have your own unique ways to help your baby discover his first laugh. But there are few activities or small games that you may follow in order to bring a lasting smile or even an intense laugh on your baby’s face. ‘Peek – a – boo’ – You may hide behind a curtain or your hands or even a piece of furniture and then you may pop out with surprise. It will elicit a smile on his face. Bringing in the family – Coming of new family members, close friends or relatives into the house is quite surprising and liked by small tots. If possible then try brining a sibling or any other relative to your home as this can bring an instant smile on your baby’s face. Favorite toys or characters – If you are seriously concerned about when do babies start smiling on their own then you may offer him with his favorite companions, like a toy or a teddy bear. Babies love such companions who are all day long with them and can bring a lasting smile on their face. Music and Songs – Babies are crazy about music and if listening music is incorporated into their daily routine, then your child will not only enjoy more but will also demand of playing the music again and again. Blowing bubbles – Babies are attracted to anything which is new and that is not harmful to them. Bubbles are one such element that can make your baby laugh with joy. If your baby is a little grown up, then he will even try to catch the bubbles as they appear. Pretending of eating fingers and toes – Babies love the pretending act of their parents and one such act are pretending to eat or bite ties or fingers. So trying being a little pretentious and if you are the lucky one, then definitely your child will appreciate this mimic game. Family Pet – Just like you, even your babies respond very well to their pets. They respond positively to the pets and love to interact with them. Small babies feel happy while watching their pets. Tickle time – It is an old game and an excellent way to bring a long-lasting smile on your baby’s face. A gentle tickle comforts babies that their caretaker is near them and it provides them with a feeling that they can rely on you. Hence, babies not only feel relaxed but also smile with joy and comfort. Imitating animal noises – If you are too good at making animal noises, then you can try this act. Babies will giggle and you can make that smile lasting for few minutes. It is also a refreshing act for babies that you can try at any time and at any place you prefer. 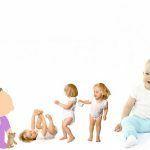 Silly movements – No need to worry about when do babies start smiling at you, as you can always try this simple and effective act of making your baby happy. You can try making exaggerated expressions or perform funny acts t make your child feel the center of attention. It will surely bring a smile on his face. There is always a possibility that your infant may not show any signs of a laughter, even after your hard attempts. A possible reason for this may be that babies show different rates of development. If your baby does not reveal any signs of laughing even after six months, but he is trying hard to communicate with you via different forms by babbling or smiling, then the chances are that your baby is developing normally, but at a smaller pace. However, if your tot is not responding to you then he may either have a vision problem or may have a hearing or developmental disorder, such as autism. It is essential that you notice developmental delays as early as possible, as an early detection can help combat the problem in very short time and without facing too much difficulty. Symptoms of early autism may be noticed in babies at the age of 5 months to 12 months. Some of such symptoms are babble, lack of smile, imitating sound or not responding to caregivers or parents. Also, few babies may also show some signs of poor eye contact, uncommon movements, unusual postures and lack of attentive behavior. Even their motor development may face delays, like late crawling, delay in rolling over and more may showcase delays. In all such situations, it is essential to consult your doctor immediately. If you observe these or any other signs of changes then you must consult your doctor and follow his advice.